Alyssa Embree’s practice focuses on commercial and multifamily real estate and finance. Alyssa is experienced in the acquisition, financing, leasing and disposition of commercial and multifamily real estate. She has represented national and regional clients in transactions involving office, multifamily, industrial, retail and mixed-use developments. Alyssa has significant experience with a variety of leasing matters and advises clients on ground leasing, office leasing, cellular communication leasing and landlord/tenant negotiations. Alyssa’s practice also includes solar leasing and navigating clients through the unique challenges of emerging technology. Alyssa Embree’s practice focuses on commercial and multifamily real estate and finance. Alyssa is experienced in the acquisition, financing, leasing and disposition of commercial and multifamily real estate. She has represented national and regional clients in transactions involving office, multifamily, industrial, retail and mixed-use developments. Alyssa has significant experience with a variety of leasing matters and advises clients on ground leasing, office leasing, cellular communication leasing and landlord/tenant negotiations. Alyssa’s practice also includes solar leasing and navigating clients through the unique challenges of emerging technology. Her experience includes the financing of real property with conventional financing and project finance. She has experience with representing developers of apartment communities using federal low-income housing tax credits. Alyssa has also represented financial institutions and creditors in foreclosures, bankruptcy and in workouts of distressed debt secured by real estate. She is listed in The Best Lawyers in America© for Real Estate Law (2018-present), and she has been named one of Virginia’s “Legal Elite” by Virginia Business (2013-present) and selected to the Virginia Super Lawyers list for Real Estate Law (2017-present). Alyssa was listed as one of the Top Lawyers of Coastal Virginia by CoVa Biz Magazine (2017-2019). She was previously selected to the Virginia Super Lawyers Rising Stars list (2013-2016). 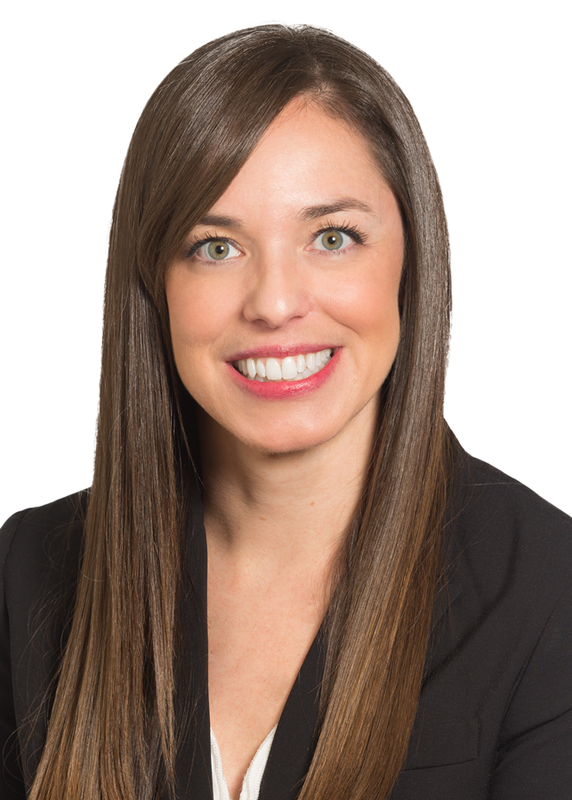 In 2015, she was named to Inside Business' Top 40 Under 40 list, and in 2016, she was named to Virginia Lawyers Weekly's inaugural class of "Up & Coming Lawyers." She is admitted to practice law in Virginia, Georgia and the District of Columbia, and she is admitted before the United States Fourth Circuit Court of Appeals and the United States Bankruptcy Court for the Eastern District of Virginia. Alyssa serves as the president of CREW Hampton Roads and on the leadership development committee of the Hampton Roads Association for Commercial Real Estate (HRACRE). She also serves on the board of directors of the CIVIC Leadership Institute. She is a former chair of the programs committee of HRACRE (2013-2016) and a former member of the board of the d'ART Center (2013-2017). She also previously served on the finance committee of the Girl Scout Council of the Colonial Coast (2013-2016). Alyssa received her Juris Doctor degree from Tulane University Law School and her Bachelor of Science degree from Boston College. While in law school, she was selected to the Order of the Barristers and served on the Moot Court Board. Representation of commercial entities in the acquisition, disposition, financing and leasing of real property, including industrial, office, retail and mixed-use properties. Representation of multifamily developers in the acquisition, disposition, refinancing and project finance of low-income housing tax credit and market rate apartment communities. Representation of financial institutions in construction and permanent financing. Representation of property owners in solar panel and cell tower leasing. Representation of developers in the acquisition, development and disposition of self-storage facilities. Representation of financial institutions in creditors’ rights, foreclosures and workouts for distressed real property. Representation of secured creditors in bankruptcy. Representation of corporations and limited liability companies with a broad spectrum of issues including buy-sell agreements, financing, formation and general corporate governance. Representation of redevelopment and housing authorities with respect to their corporate and real estate needs, including acquisition and disposition of real property, procurement, landlord-tenant law, contracts and corporate governance. Representation of a national quick-service restaurant in the acquisition and ground leasing of outparcels for the development of free-standing restaurants. Representation of a national retailer in the expansion of existing retail stores. Representation of a national cellular company in its lease of ground, tower or rooftop space for cellular communications facilities.